Hoodie Allen brought fun, food, and games alongside a fantastic set at the San Diego House of Blues! The House of Blues San Diego welcomed rapper Hoodie Allen for his Hanging with Hoodie Tour 2018 on Friday, September 21, 2018. 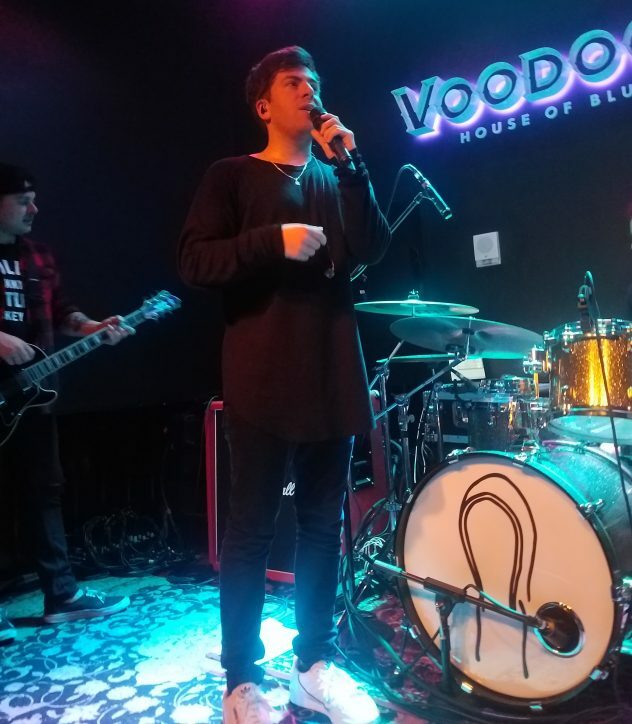 This tour allowed all fans who purchased a general admission ticket to meet Hoodie Allen at no cost, as well as releasing VIP tickets for dedicated and long-time fans. The small and intimate venue was decorated to highlight the carnival theme of this tour with circus games, raffle tickets, and prizes for fans to enjoy. To start off the show, the opening act, Gianni & Kyle, energized the crowd with a few of their popular songs like, “5 Shots” and “Do You Even Miss Me At All?”. 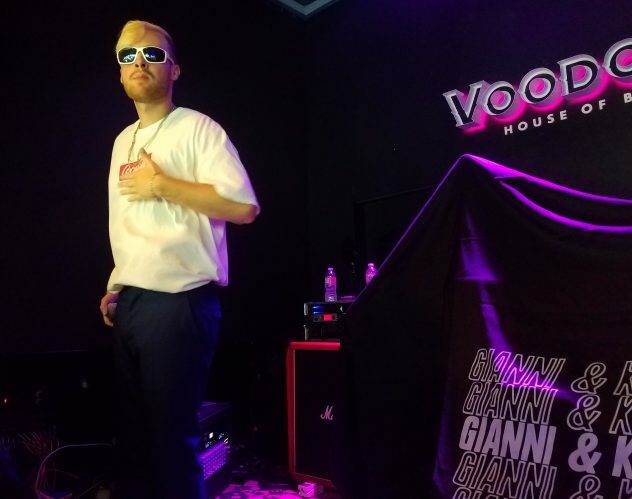 The duo’s 45 minute set allowed fans to build up enough adrenaline to prepare for their favorite headliner, Hoodie Allen. Now, as an absolute “super-fan” of Steven Markowitz (aka Hoodie Allen), I had to opt in for the VIP purchase to get the ultimate experience. With the purchase of VIP, fans are able to take photos with the artist, obtain a signed Polaroid photo memento, receive a drawstring bag with small goodies from the tour, get the opportunity to purchase merchandise first, and were given “first dibs” for standing in the front row when the artist performs. Based on my experience, I was very pleased with the organization of this concert, including Hoodie Allen’s very respectful crew. I was able to talk to him in-between photos and, to my surprise, he even remembered me from the last time I saw him back in 2016. When the show began, I’ll admit, I had my own “fan-girl” moment and started screaming in excitement when he began his performance with his 2012 single, “Eighteen Cool;” a song which set the tone his the remainder of the night. 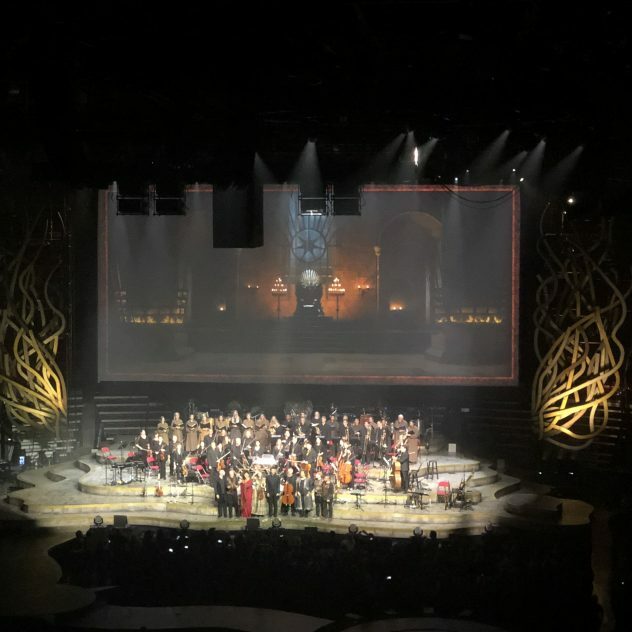 Considering the fact that this venue was intimate enough to fit approximately 150-200 fans, concert-goers were consistently able to get clips and photos throughout his set. Additionally, two of the songs which Hoodie performed came straight from his new EP that will be announced & released sometime this year; the tracks, “Wasting All My Time” and “Operation”, were performed for the very first time on this tour in preparation for the release of his as-of-yet unnamed EP. 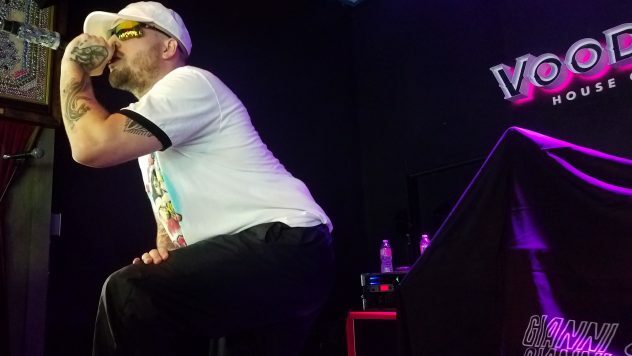 As the night continued, he performed the short version of older tracks such as, “The Chase Is On”, “James Franco”, and “You Are Not Robot”. In addition to performing, Hoodie Allen included multiple interactive event for fans to participate in. For this show, Hoodie Allen brought out some games for fans to play. The first game had fans spinning his carnival wheel, which allowed 1 lucky fan to determine which bonus song would be performed on this leg of the tour. 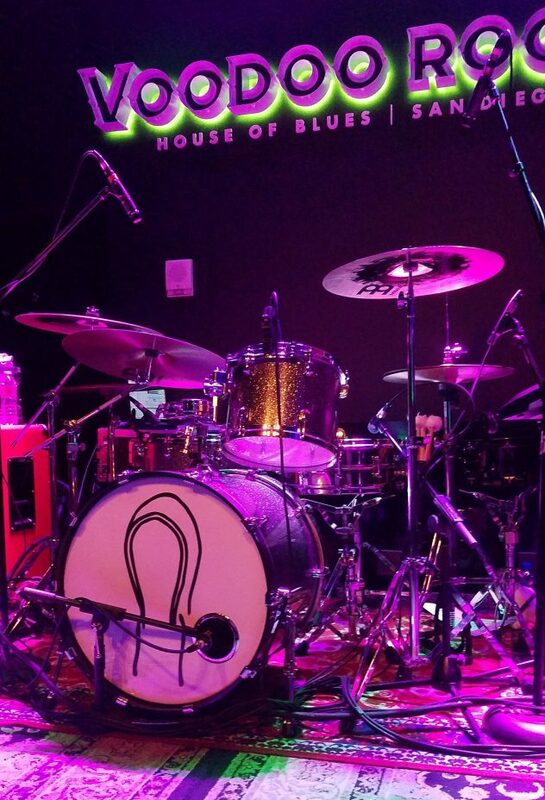 For San Diegans, the wheel landed on the song, “Show Me What You’re Made Of”, which brought immense happiness to his older fans. He also included a trivia buzzer game, where two fans competed one-on-one on their knowledge about the the artist; the prize being Hoodie Allen caking the loser of the trivia game. Now, if you are not educated on the Hoodie Allen tour traditions, here’s a fun fact for you. Fans will purchase cakes and decorate them to give to Hoodie’s backstage crew for one sole reason: to throw them into the audience during the show. This tradition started because of Hoodie’s well-known song, “Cake Boy,” which later lead to fans preparing ahead of time to avoid getting cake all over them. 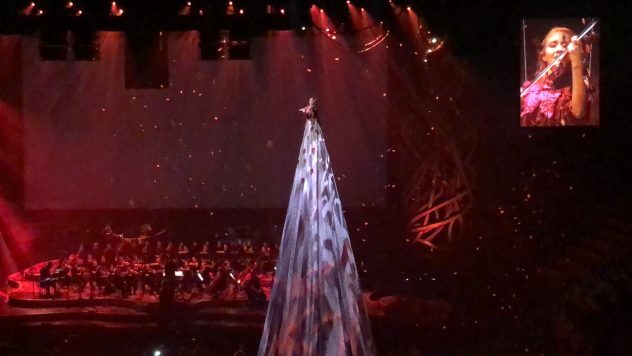 As we have all learned over-time, all concerts must come to an end with the most popular song the artist has released. To my surprise, Hoodie Allen performed two encore songs to ensure this concert ended at an all-time high. The songs, “No Faith in Brooklyn” and “No Interruption” were the absolute best song choices to end Hoodie’s San Diego tour stop. Overall, I was very happy with my experience seeing my favorite artist, Hoodie Allen, perform once again in San Diego. The atmosphere remained positive all night long thanks to the fans’ respect towards the artist and one another. Anyone whose interested in listening to an up-and-coming artist should definitely give Hoodie Allen a chance. Hopefully he’ll make you a forever fan as well. The FYF Lineup has arrived and it is truly a blessing from above. With Missy Elliott and Björk headlining on the same day (July 21) and Frank Ocean and Nine Inch Nails headlining on the two other days (July 22-23), FYF is sure to be packed full of a diverse group of youngsters. However, the big-name stars performing at FYF come at a cost: tickets are on sale for $299 rather than $199. FYF has evolved from a single-day attraction in 2009, to a three-day festival that features many mainstream and iconic names. Unlike Coachella, most of the people that attend FYF are there mainly for the music, not for the Instagram boomerangs and the fashion. Located in Exposition Park in Los Angeles, FYF will please fans of older music (with the #throwback hits of Tribe Called Quest and Iggy Pop), fans of current music (with Solange and Anderson.Paak) and fans of artists on the rise (such as Cherry Glazerr and Mitski). So, below are a few artists playing at FYF that I highly suggest you check out! It’s a no-brainer. Frank Ocean has been AWOL for a little too long, so any time he is in town or playing a show nearby, it’s basically mandatory! 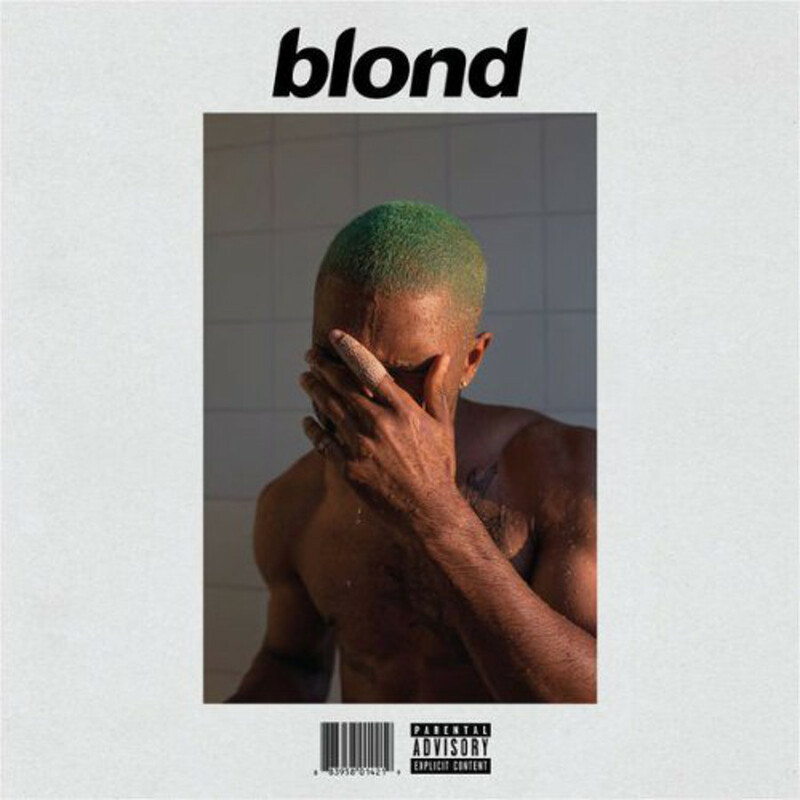 He dropped an album last year called “Blonde” and has so many great hits within that album, such as “Solo” and “Ivy.” He still has the iconic album “Channel Orange” under his belt, as well. When he performs the songs “Thinking of You” and “Super Rich Kids,” I’ll definitely be there screaming the words. The goddess herself is sharing her beautiful music with us at FYF. Solange is known for her pop/R&B album, “A Seat At The Table,” which covers many subjects ranging from the Black Lives Matter protests to black culture in general. 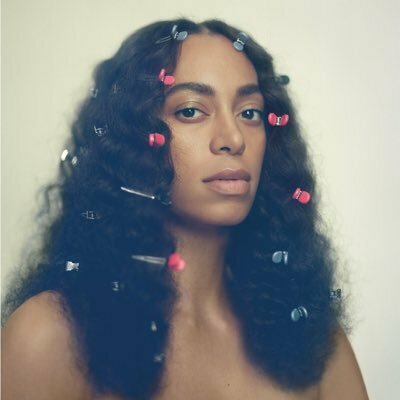 It’s refreshing to see Solange making a name for herself, other than “Beyonce’s sister.” I, for one, am a firm believer that her music proves to be genuine and unique, rather than commercialized and stereotypical. Not to mention, she has really good dance moves. So, go see Solange at FYF to feel #empowered. 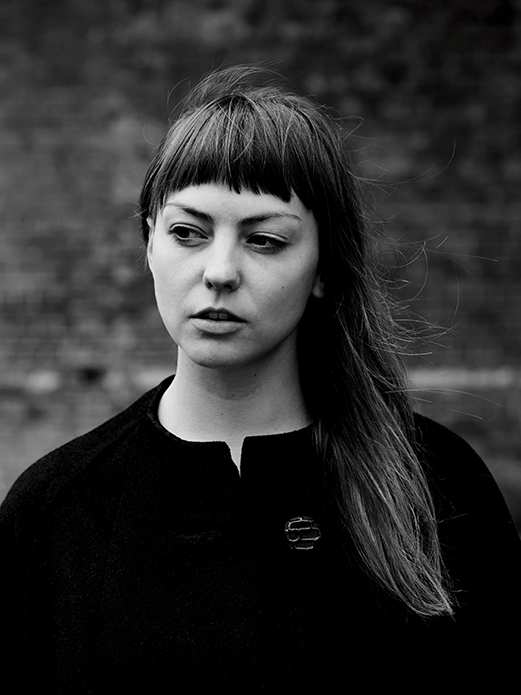 Angel Olsen, an angel herself, will be blessing us with hits such as “Shut Up, Kiss Me” and “Intern” from her latest album, “My Woman.” With a more pop/gritty sound that showcases pain, love and self reflection, her music will sound beautiful live at FYF. I was able to watch some of her set at Coachella 2014, and it’s true that her music definitely has changed from “sad girl” music to a more upbeat sound. Because of that, I’m even more excited to see and hear her new music live at FYF. I could talk about this line-up for hours, but this would turn into a novel, so I won’t. However, a few other notable performers playing at FYF that I think you should see are Tribe Called Quest, King Krule, Hannibal Buress, Björk and Cherry Glazerr! Have a great rest of your week, Aztecs!